Herman Miller Mirra Chair. 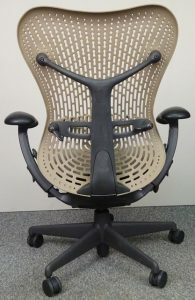 Supplement to the Aeron. 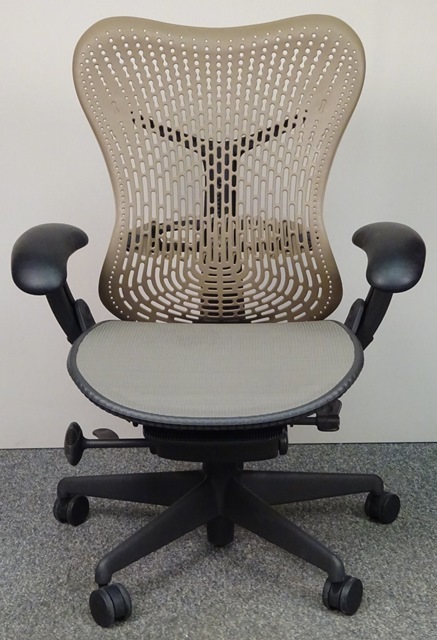 Stylish and ergonomic this Mirra chair is every bit as comfortable and stylish as the Aeron. 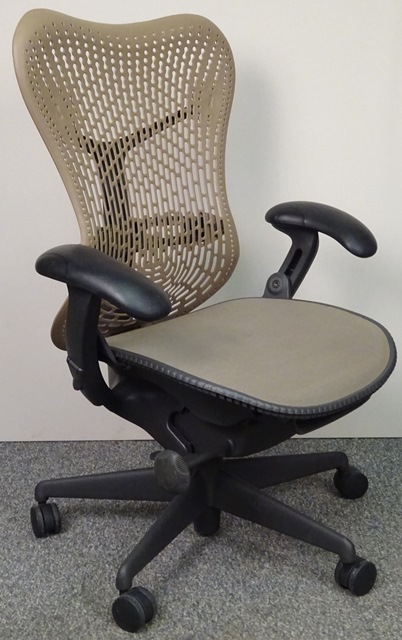 Great ergonomic features make this chair ideal for an office or to give a new look to your conference room. © 2019 R-Squared Office Panels & Furniture, Inc.